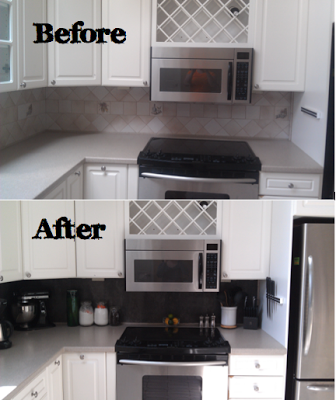 This weekend, I tackled a project that I have wanted to do since we moved in - the backsplash. 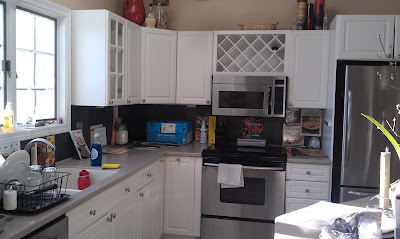 I have talked about this project before, even showing you which tile we were going to go with. Well, this weekend, I finally got it done. 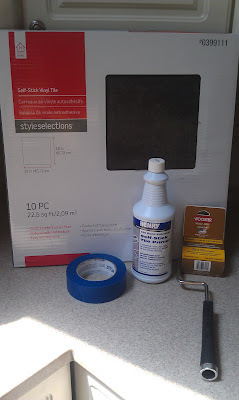 I went to Lowe's on Friday morning, and picked up two boxes of the 18"x18" tiles in the Aspen Gray pattern that we liked, an adhesive primer made specifically for peel-and-stick tiles, and a short nap paint roller for application of the primer. 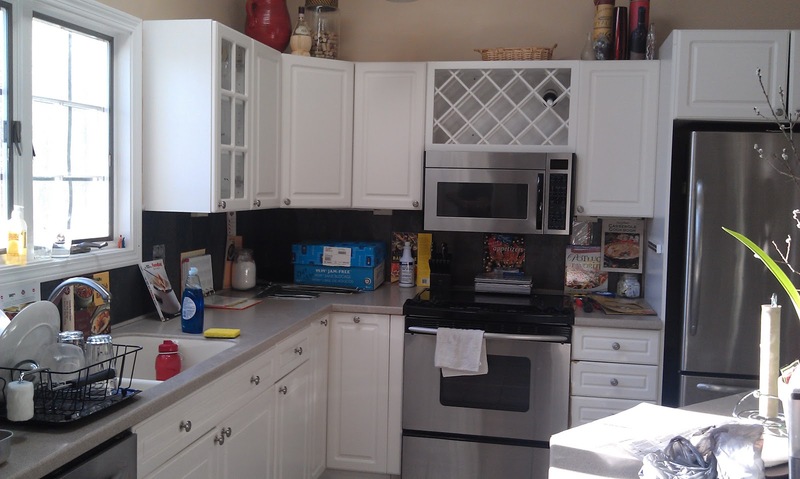 The first step was to remove everything from the countertops and against the existing backsplash. Next, I prepped my ceramic tile surface by cleaning it with a sponge and hot soapy water. I didn't use any special cleaning solution for this, I just relied on Dawn dish soap to get the grime and cooking residues off of the surface. Don't forget to remove all of your switch and electrical plates before you wash down your surface, but make sure the electrical areas don't get wet. When we went to the hardware store to buy supplies, the flooring and tile associate told us that it would be helpful to apply an adhesive to the ceramic tile. So, we grabbed a bottle of that while we were there. 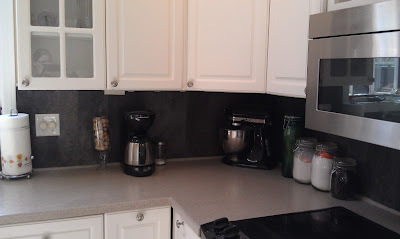 After washing down the backsplash and letting it dry, I applied two coats of the adhesive, which actually dried completely and was not tacky at all. It was a very watery liquid, and looked like milk when it was rolled on the surface. 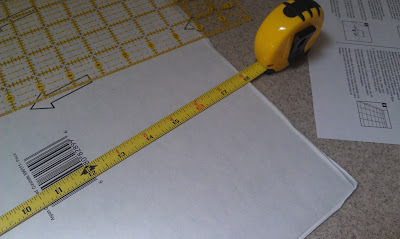 While the adhesive primer dried, I took measurements for the tiles. Draw your cuts on the backside of the tile, before the wrapper is removed, and use a utility knife to score the tile, then just snap it off at the cut by bending in the opposite direction. 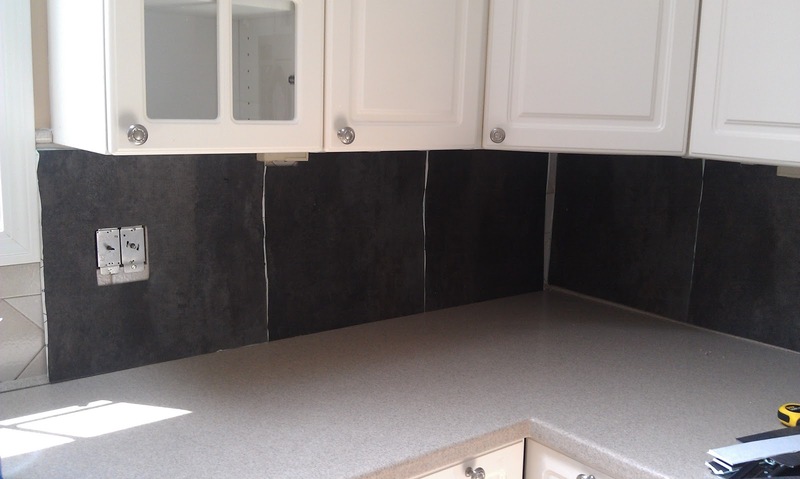 Don't forget to account for any electrical openings in your tiles. 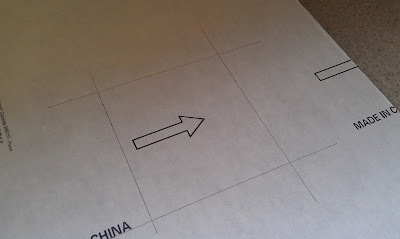 Lay out your tiles on the surface, and push them together to make sure that your cuts are precise and that your tiles match up. Make any modifications as needed. When your cuts are correct and your tiles are ready to be adhered to the surface, remove the paper from the backside, and place the tile on the backsplash, aligning the top first, and working your way towards the bottom. 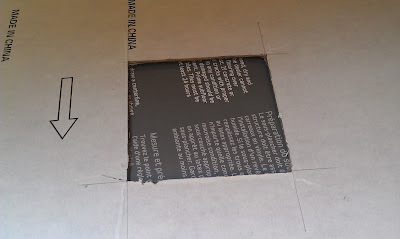 Make sure that the adhesive primer is dry before applying the peel-and-stick tiles. 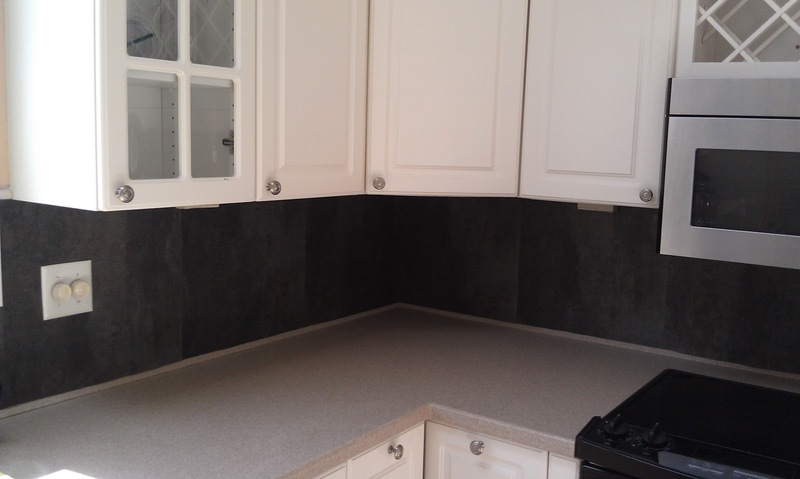 Once you have pressed the tile into place, repeat the previous step until all tiles are adhered to the existing backsplash. 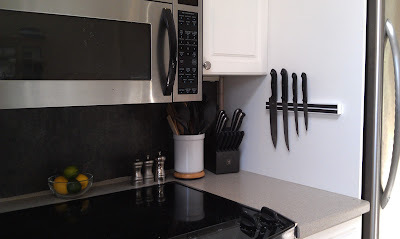 For some added security, I started putting things up against the backsplash after the tiles were applied, just to help them stick and stay in place. Once your tiles have adhered themselves to the wall, your work is done! Now, I know that this is a DIY and a tutorial, but let me be real with you. This didn't end up working. 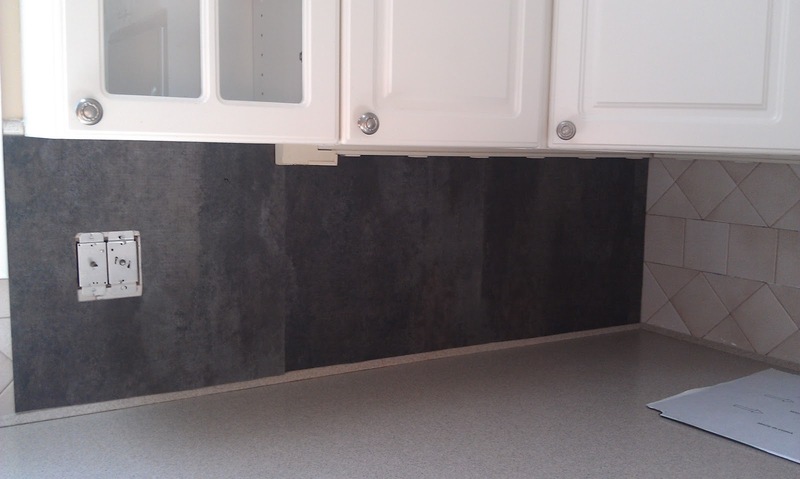 My existing backsplash was ceramic tiles with a very slick and slippery surface/sealant on them. 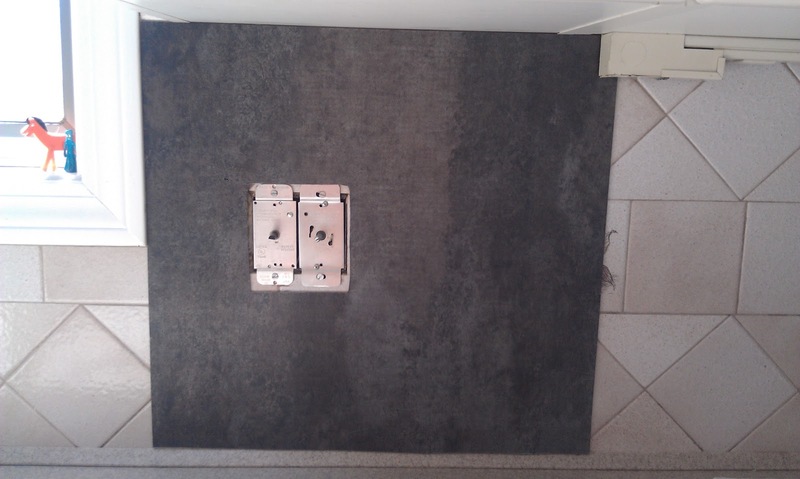 I thought that when we would do this project that I would have a problem with the tiles sticking, so I planned to sand them down to make the surface rougher. 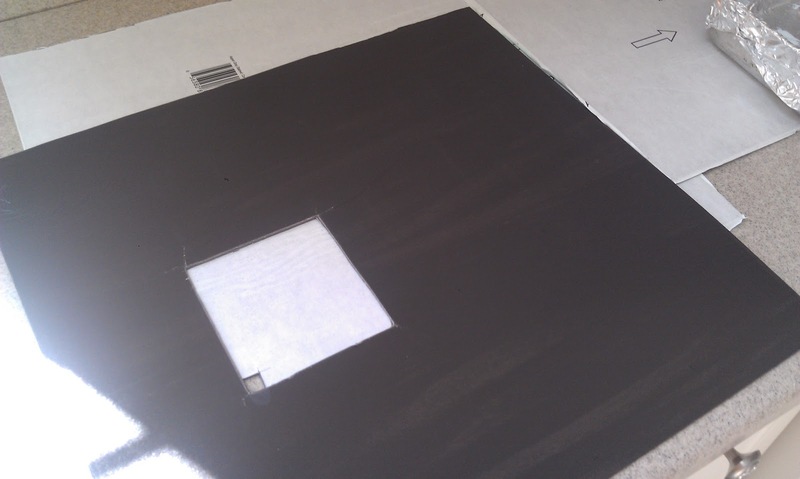 The problem was that when I tried to sand them, they weren't getting any less shiny or slippery. 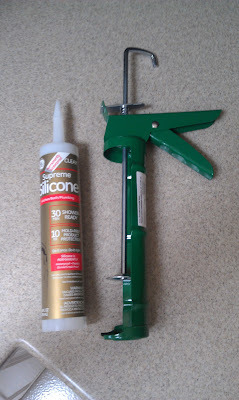 When I mentioned this to the sales associate, that is why she recommended the adhesive primer. But, that didn't seem to make a difference either. By morning, even with the books and kitchen appliances up against the backsplash, the vinyl tiles were peeling off and a few had even completely fallen off. So, back to Lowe's we went. We talked to a different sales associate, and explained our problems. 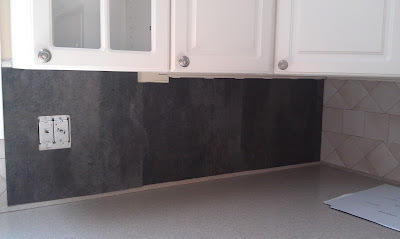 Since this is just temporary and because we don't care about damage to the original backsplash (both backsplashes will be demolished when we renovate the kitchen in a few years), we decided to go with something more permanent to help with adhering the tiles to the wall - silicone adhesive. We picked up a tube of silicone, made specially for ceramic surfaces, and a caulk gun. After removing all of the tiles from the backsplash, I applied the silicone to the back of the tiles. Having watched way too many home improvement shows on television, I knew that the way to apply the silicone to the back was in a snake pattern, that way air has the chance to escape from either the top or the bottom of the tile, and there won't be any pockets in the middle of the tile. I applied the tiles just as I had before, from top to bottom, pressing down firmly in the middle and then around the edges. 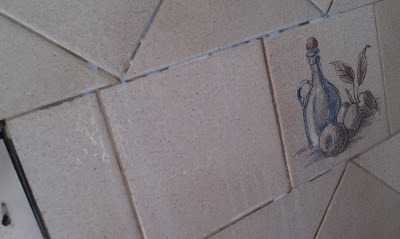 I could immediately feel a difference in the strength of the tiles on the wall. 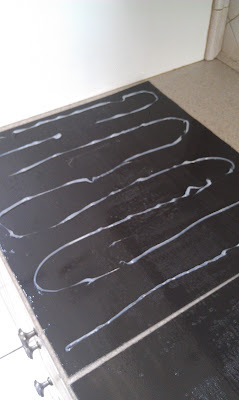 I repeated this for the rest of the tiles, making sure to apply a little more silicone where I knew there were adhesive problems on the tiles. 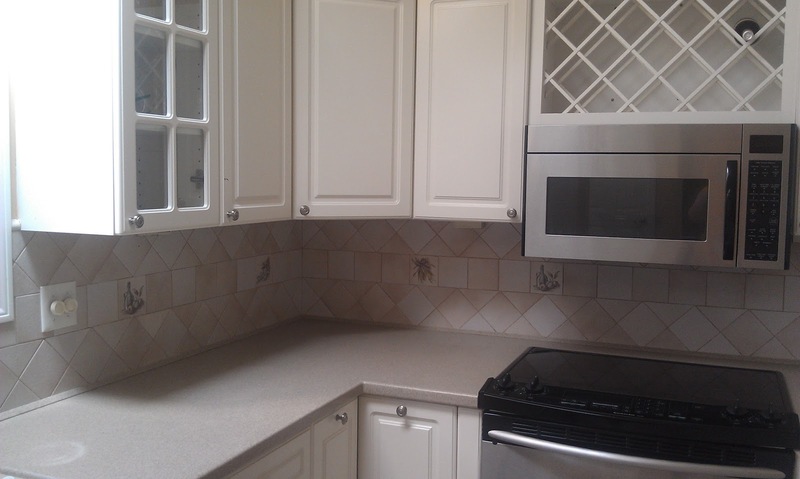 Now, the tiles are secured onto the existing backsplash, and I can finally stand back and enjoy my hard work. Do you think the backsplash revamp is something you would attempt? Have you had any DIY projects that just didn't go the way that you expected? Were you honest about it on your blog or in telling it to friends? I am really excited to try this...My hubby and I are renovating a house on an extreme budget just to make it "livable" so we can move in in just a few weeks...I will definitely be trying the vinyl backsplash idea...The existing kitchen had been covered (and I mean, every surface) in the ugliest wallpaper known to man, lol. So we stand an ok chance of getting this done without any trouble since it will be going straight onto sheet rock, basically.